Are you feeling so stressed out, that you want to swallow a dose of tranquillisers. Rather get yourself a fabulous and fun stress toy and bash it a few times. You will feel a lot better and it also makes a great talking piece to keep on your desk. This stress pill capsule will delight pharmacies, doctors and medical companies looking for a quirky give-away for a promotion. It is manufactured from a pliable material that can be squashed and smashed and will always return to its original shape. The capsule has two contrasting colours, a light shade and a darker corporate colour that will enhance your company image. 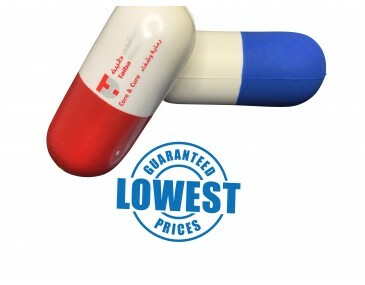 It comes in a three-dimension shape with a smooth glossy finish on the outside.Stress related illnesses are wide spread in today's busy world and your clients can get the benefit of a fun and relaxing toy in one when you give them these stress pill capsules at your next conference, company event, seminar or expo. 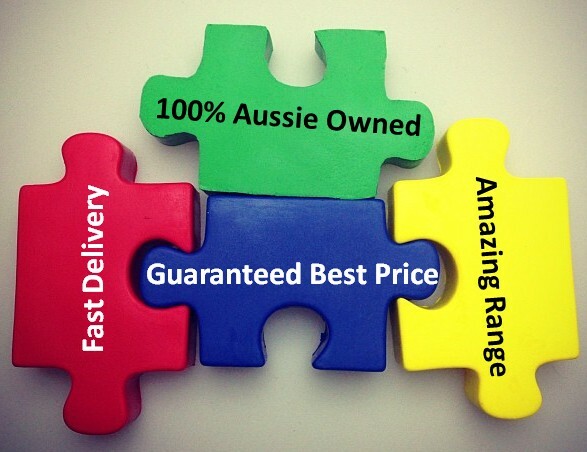 Brand them with your company logo and graphics in a single colour print, the process is included in our listed price. Our designers will be delighted to help you with marketing ideas. We offer a product turnaround time of two weeks, but we can offer even faster turnaround times for urgent orders. This product is supplied in bulk quantities, making it ideal for large promotions. Please note that our prices exclude GST and a print set up of $75 applies. For larger orders ask about our custom made indent production service.